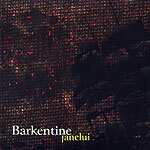 Jane Lui's "Barkentine" is one of the most fully realized art pop ventures to come out of San Diego's burgeoning music scene yet. Rich vocals, intricate songwriting, haunting arrangements  Lui distills influences ranging from Kate Bush to Rickie Lee Jones, John Lennon through Holly Cole to create her own intoxicating brew. Her second CD is an introspective, often dark affair, anchored by her deep, husky singing and a collection of songs with enough complexity and variety to hold your attention. Equal parts jazz, folk and pop, Lui's songs are measured, restrained. Her arrangements never rush a song along, instead letting each note find it's own space and time. This almost stately nature to her music is as effective as it is because Lui has an intensity to her singing that transcends lungpower or tempo. In fact, it is on some of the slowest, quietest songs  "Widowmakers," for instance  that her singing is most powerful. At a whisper, she can convey more emotion than most singers can manage at top volume.